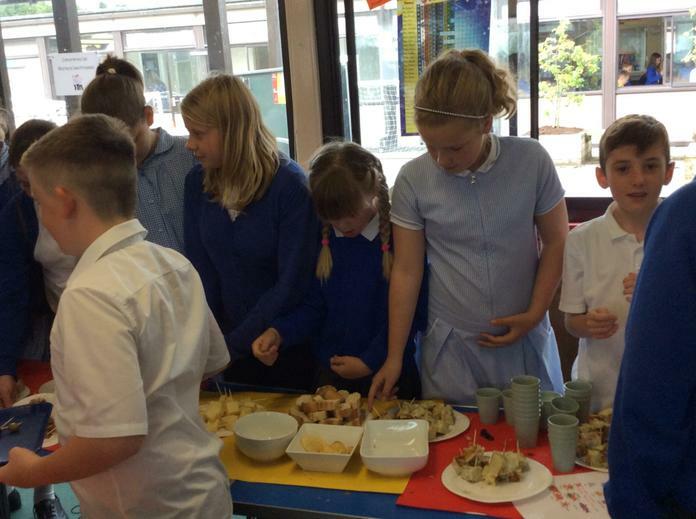 Year 6 enjoyed a Spanish cafe this afternoon.They were waiters,kitchen hands and customers. 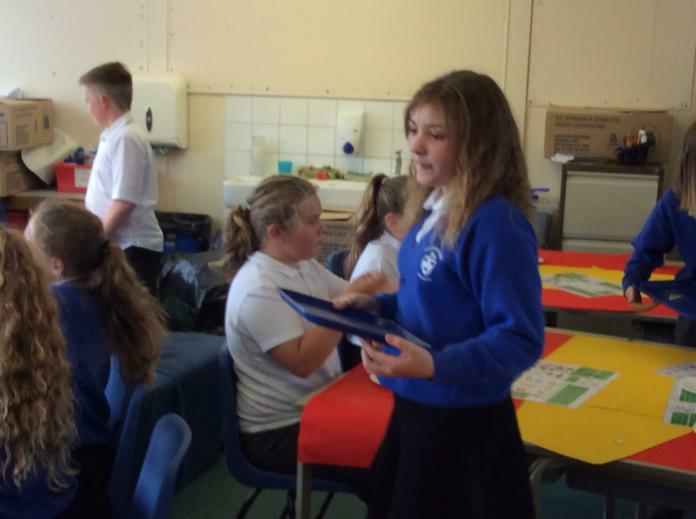 They really practised their Spanish.Some phrases used were ¿Qué quieres ? and ¿Te gustan las aceitunas ?Well done ! Year 2B sing the vowel song A E I O U in Spanish . 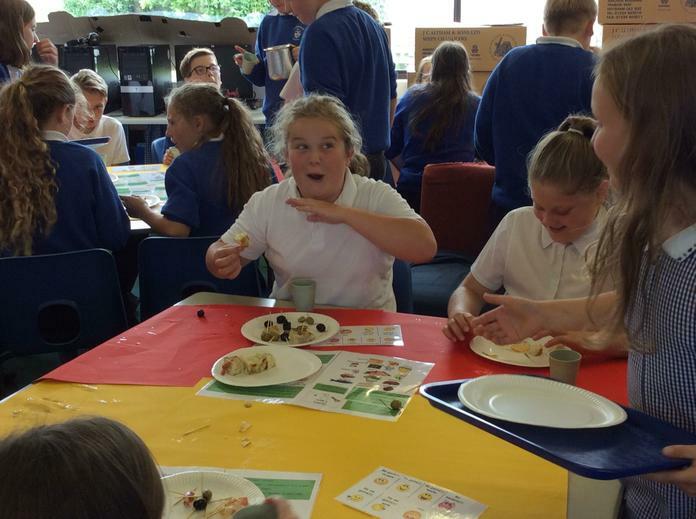 Year 6 have been learning about food in Spanish and how to say if they like it or not. 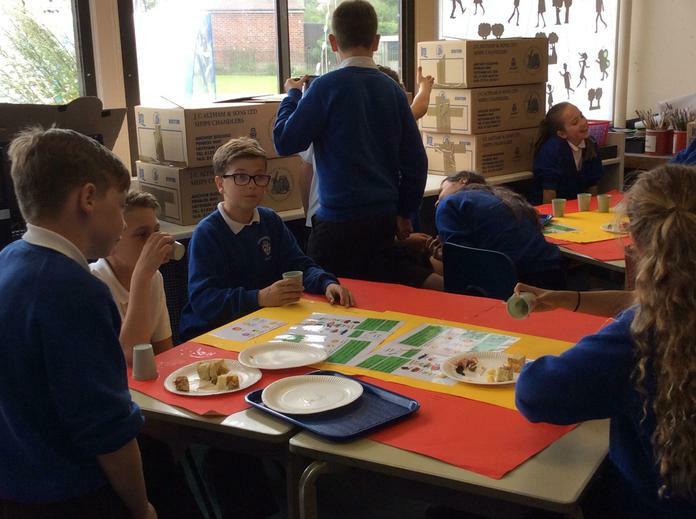 We are planning to have a Spanish café at the end of term. 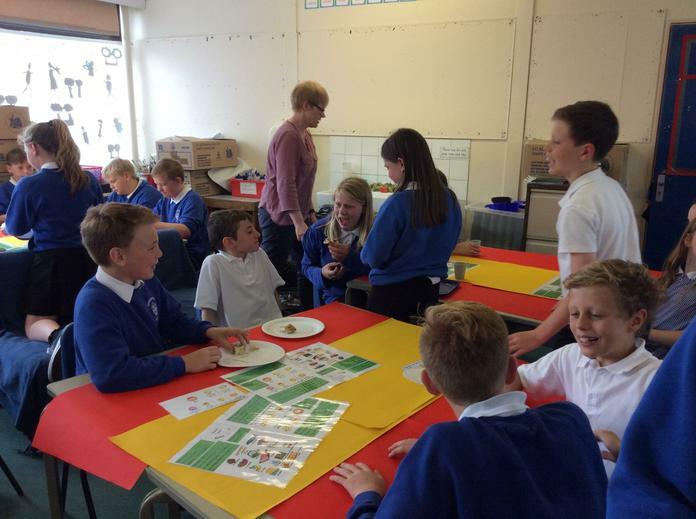 Food and drink in Spanish Going on holiday to Spain? Have a look at this before you go so you can order your own food and drink! 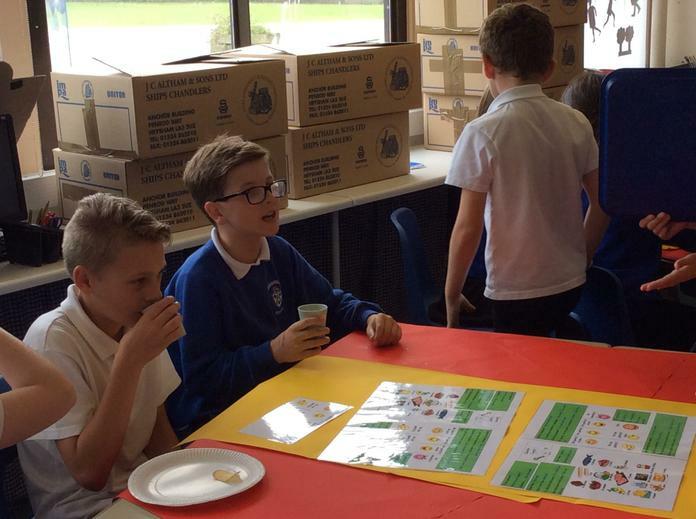 Play the food and drink matching cards game. 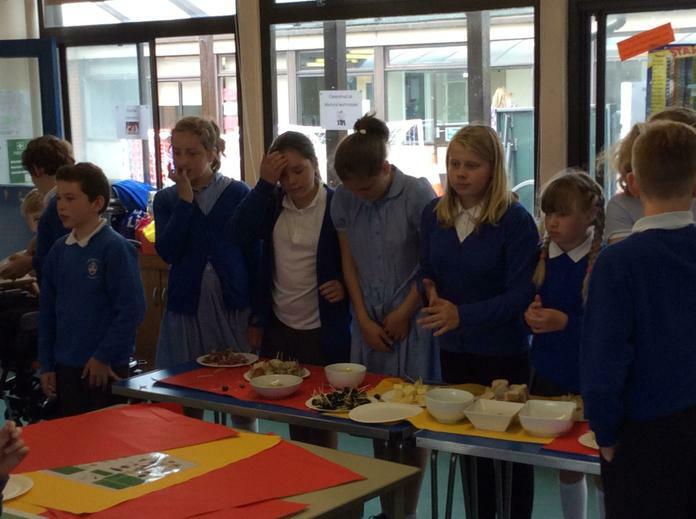 Year five worked really hard on their pronunciation and intonation in Spanish for these performances. 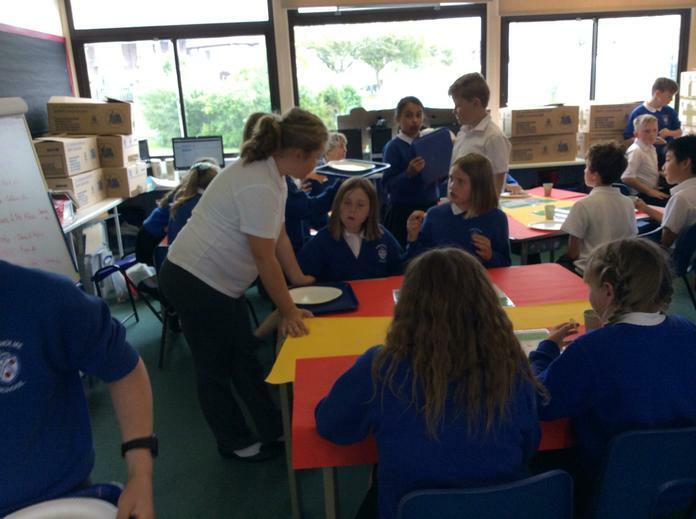 Some children even managed to memorise their lines in Spanish. ¡Estupendo! 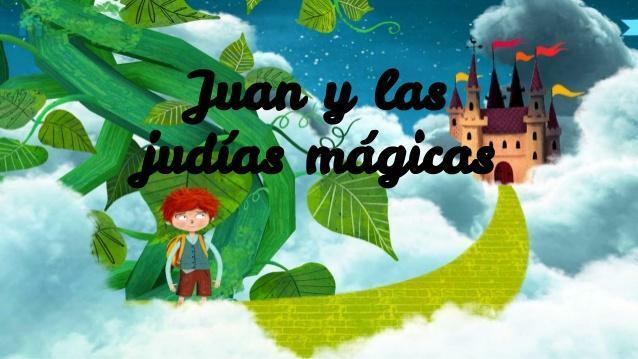 Year Two can read and understand this whole story in Spanish! ¡Fantástico! 2L Juan y las judías mágicas part 1. This story and the images are from the Grow Story Grow website.See growstorygrow.com for more details.This performance ended a half term of work on this story.We started by learning some key words then built them into sentences. We also had fun playing the giant game outside. How to play Jack and the Giant game. One person is chosen to be El Ogro. They shout the instructions from the front. The rest of the children follow the instructions. ¡Trepa! -Mime climbing up the beanstalk. ¡Desciende!- climb down the beanstalk. ¡El Ogro! - when the person who is on shouts this everyone else shouts ¡Socorro! The ogre then tries to catch someone. ¡Socorro! -mime help and run away. The person who is caught is the next ogre. Abuelito,abuelito ¿Qué hora es? 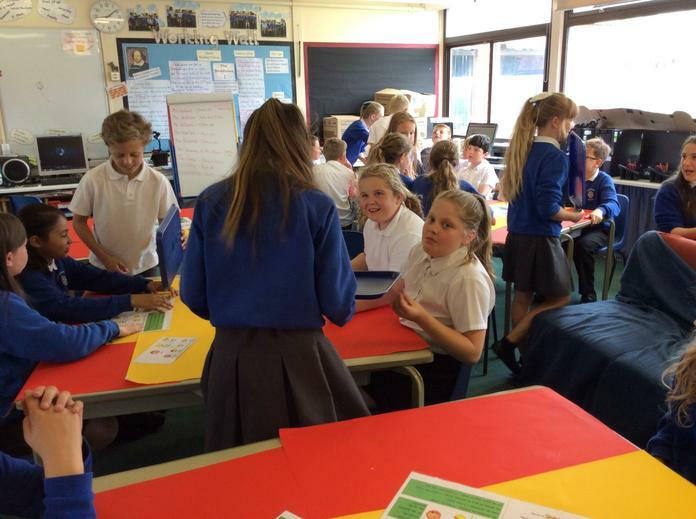 Year 6 learned to play this game and how to say the phrases really well in Spanish. Well done! 6J playing the game Abuelito,Abuelito. 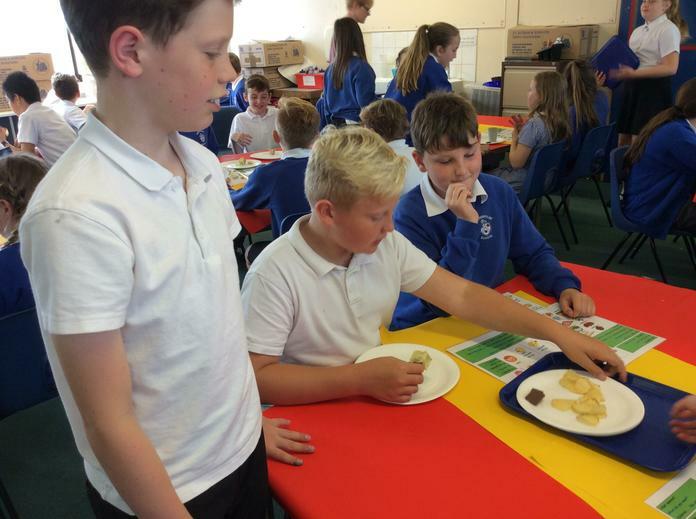 Year 6T playing Abuelito,abuelito ¿Qué hora es? Class RB can join in with the song Incy Wincy Spider in Spanish. Me llamo Señora Pitcher. My name is Señora Pitcher. In Reception we are learning Incy Wincy Spider in Spanish! La araña pequeñita subió, subió ,subió. Salió el sol y todo lo secó. Y la araña pequeñita subió ,subió ,subió. La araña grandotota subió, subió ,subió. Y la araña grandotota subió, subió ,subió. Incy Wincy Spider in Spanish Sequencing cards for Incy Wincy Spider in Spanish from spanishplayground.net. Year 1 are enjoying learning this song and the actions to go with it! This is a super simple song about Pirates in Spanish. 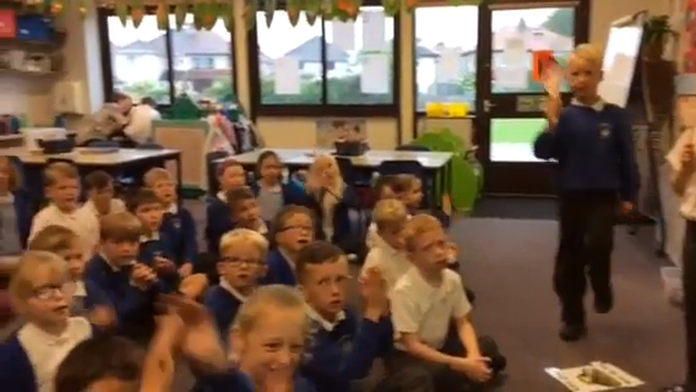 Year1B can join in with the pirata song! This half term we are learning some words for toys we play with on the beach. We are reading a big book about the beach (la Playa ). We read some sentences in Spanish. Look at our super writing in Spanish! We are reading Jack and the Beanstalk in Spanish! Juan y Las Jud ías Mágicas. 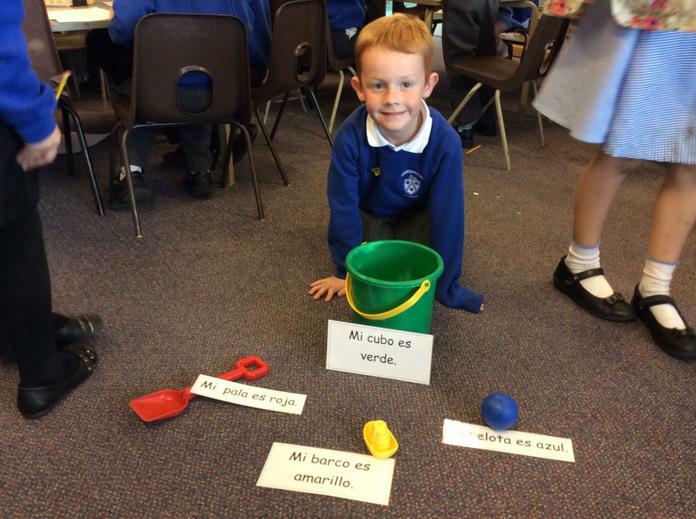 We have learned how to say the colours in Spanish. 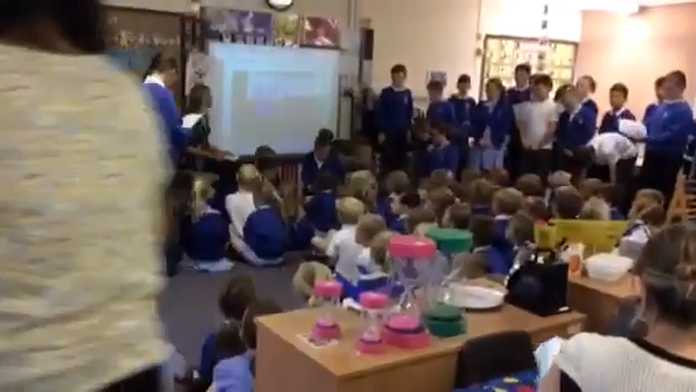 Year 3T sang their Spanish colour song in assembly. ¿De qué color es? 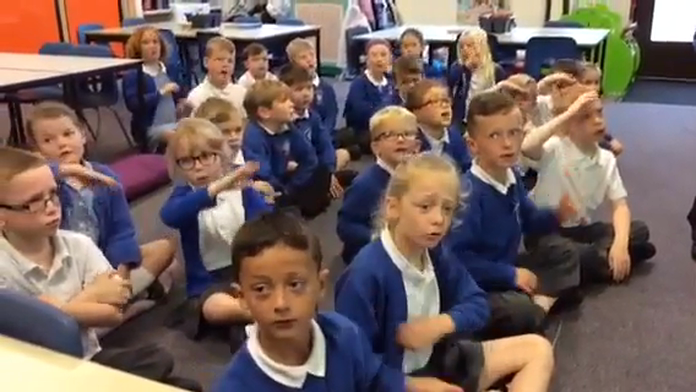 Listen to 3w sing a colour song in Spanish. 3w made up their own verses using more colours.Can you hear what they are? Learn the colours in Spanish. Play this memory game about colours in Spanish. 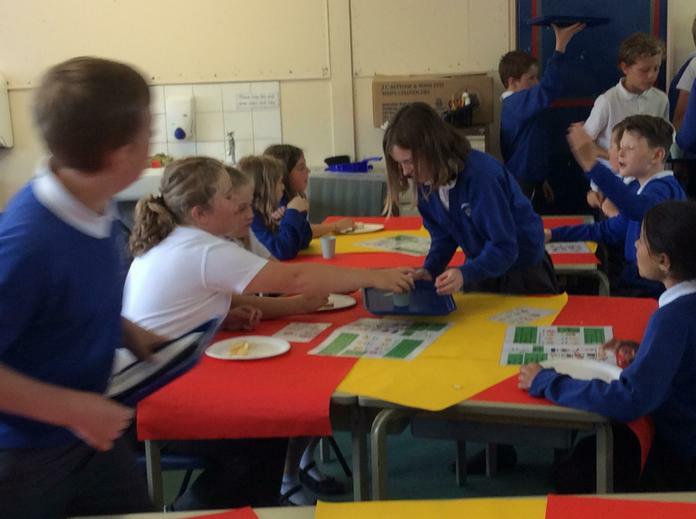 Spanish Colours Game 2 Practise your colours in Spanish! Year 4 will be learning how to say what pets they have in Spanish. Pets Game 1 Listen, read and match the pictures to the words. Pets Game 2 Listen to the name of the pet. 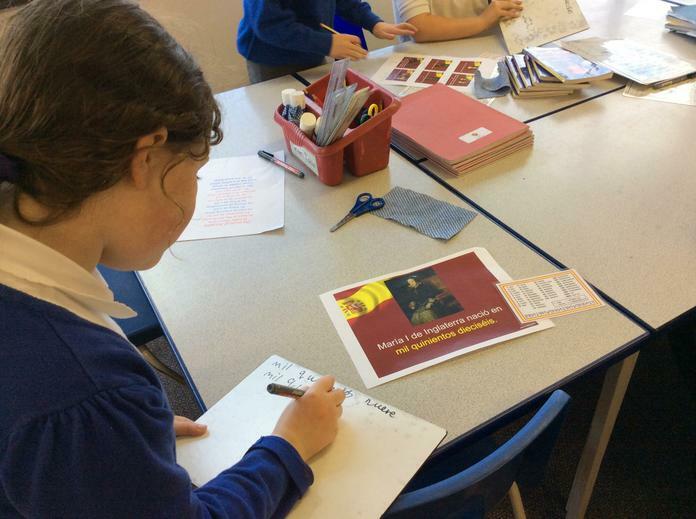 4H worked as a team to find the dates in Spanish Tudor history. 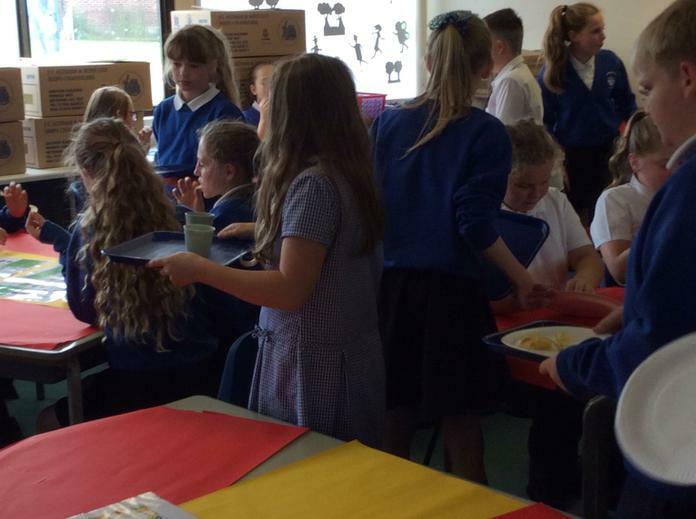 Year 4D counting in hundreds upto a thousand in Spanish. Year 4 learned a clapping game for counting up to a thousand in Spanish. 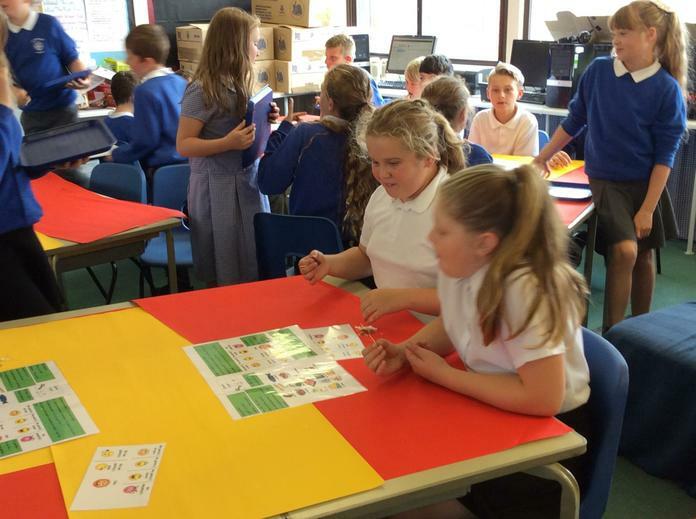 4H can count to 1000 in Spanish! Practise your numbers over 100 in Spanish. NOTE This teacher uses the Latin american pronunciation of ci so it doesn't sound like "th" here it sounds like "s". Can you hear the difference? Practise your numbers up to 100 in Spanish. Read the information and play the games on the top right hand corner of the screen. Practise your numbers 1-100 in Spanish. 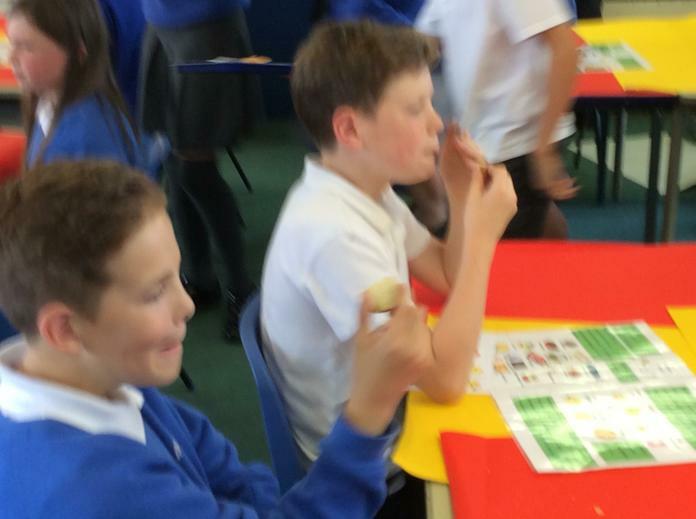 Year 4 have been learning to count up to 100. Have a go at this game! You will need to listen carefully. Canción infantil: Me gusta contar. Extraída de la colección CuentaCuentos de Salvat, cantada por el coro infantil La Trepa. Year 4 have been learning numbers to 100 . Can you count up to 100 in Spanish ? Join in with this song. Can you count back down to 0? Lyrics for Me Gusta Contar Song. 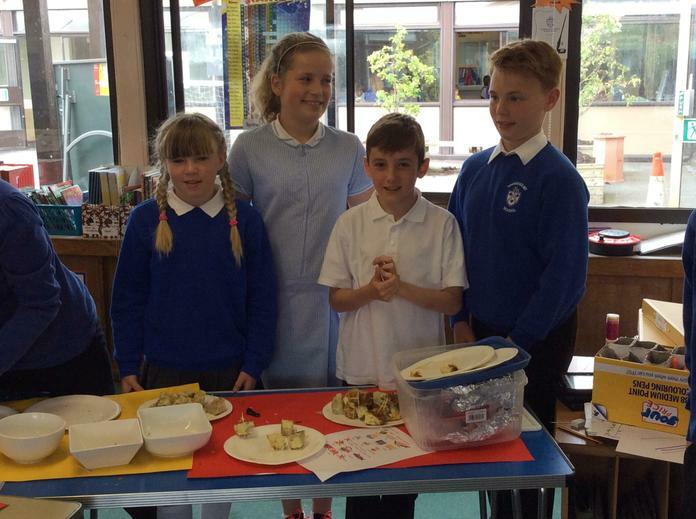 Have you seen the chocolate recipes we did last term? 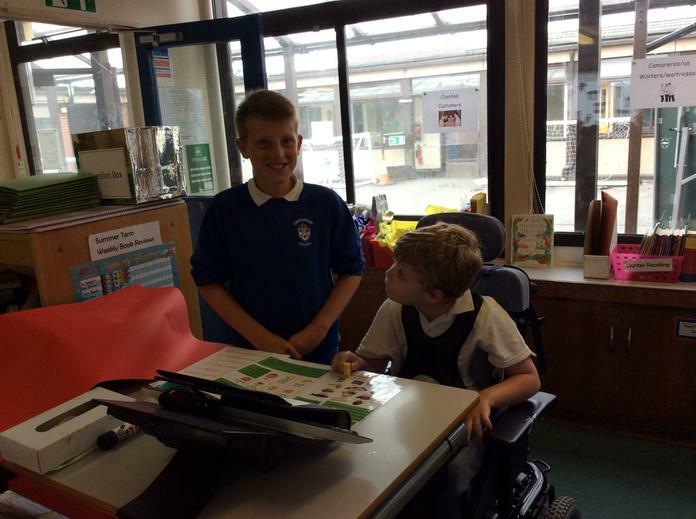 They are on Year 5G and 5s class pages. Have a look! 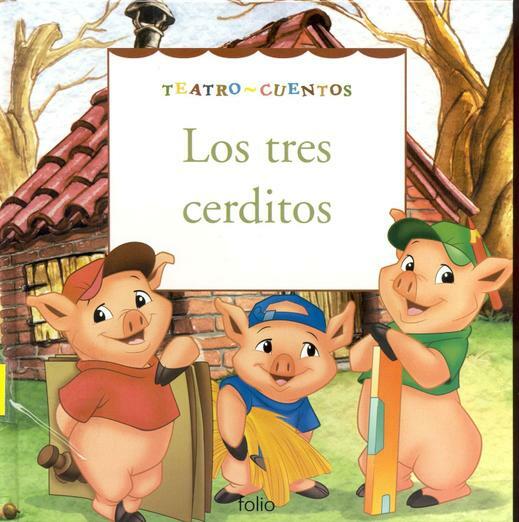 This half term Year 5 will be performing the story of the 3 little pigs in Spanish -Los Tres Cerditos. We will be working on our presentation skills and reading a script in Spanish. We are putting all the Spanish we have learned together to make some colourful monsters in Spanish. This means making sentences with the correct word order! Adjectives usually come after the noun in Spanish. We will be using plurals and adjectives of colour to correctly describe nouns ( parts of the body)in Spanish.That's quite a challenge! ¡Próspero Año Nuevo Dos Mil Quince! The first week back in Spanish classes we learned how people celebrate New Year in Spain. In Year 1 and Year 3 we practised eating 12 grapes to the chimes of midnight. 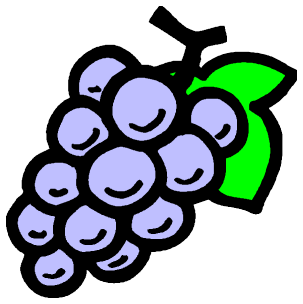 If you can eat all 12 grapes ( las doce uvas ) then you have good luck all year! Can you count to 12 in Spanish? 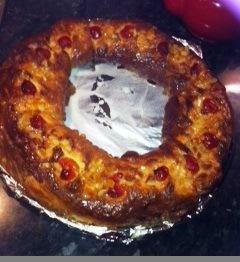 In Year 5 we have been reading a recipe for a Roscón. This is a cake that is eaten on January 6th, El Dia de Los Reyes. There is a figure hidden in the cake and if you find it in your piece you are King or Queen for the day! 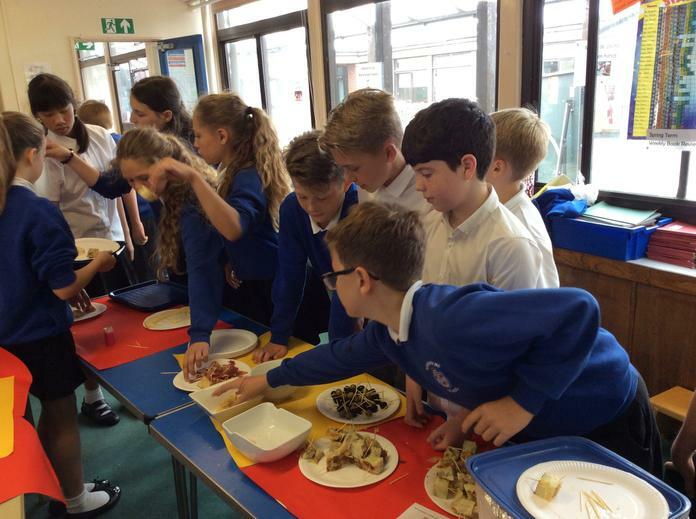 Year 5 have been super Spanish detectives and have used bilingual dictionaries to read and understand the recipe. 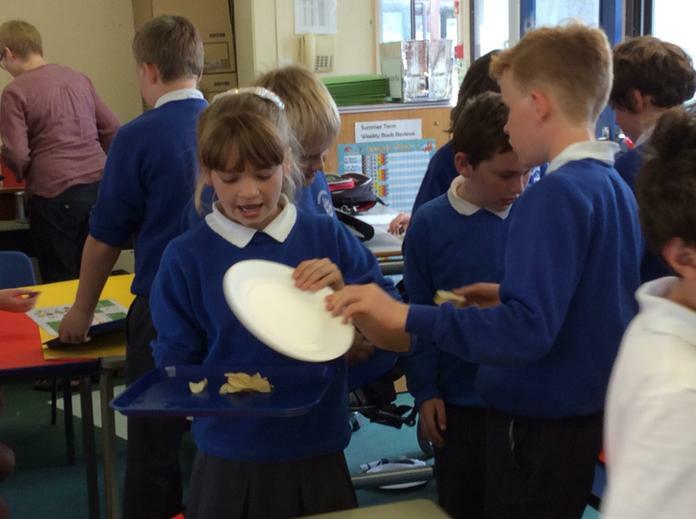 The best part of the lesson was eating the cake! ¡ Feliz Navidad y Próspero Año Nuevo 2015 ! 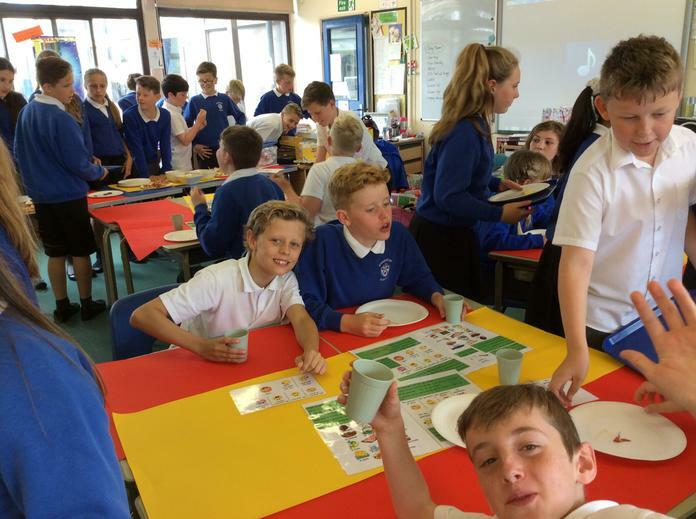 Christmas in Spain Euroclub Schools website .Find out about how they celebrate Christmas and New Year in Spain. Campana Sobre Campana Listen to an animated Christmas Carol with Spanish speaking countries.Go to 6 Animaciones- Felices Fiestas. You know it in English.Now learn it in Spanish! Year 2 listened to this song then played a snowman game in Spanish! In Reception we are learning a song to say what our name is in Spanish. In Reception we have met the two Spanish puppets Carlos and Maria. We will be learning some greeting songs and how to say our name in Spanish. 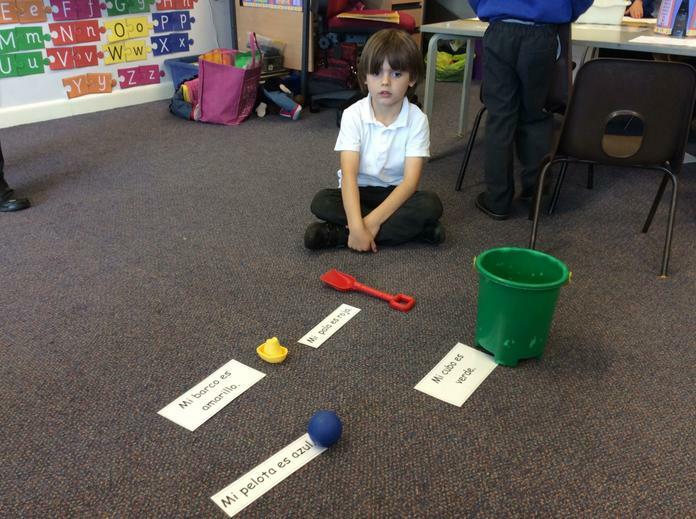 This term in Year 1 we are learning some Spanish games and rhymes. We are having fun learning to count 10 elephants on a spider's web! Listen to the song here. We learned how to say the names of some toys in Spanish and played some fun card matching games. In Year One we have been listening and joining in with stories and songs about Woodland animals. Listen to a song about animals and how they move. We are learning how to say what the weather is like in Year 2. Last week we needed to learn the word for snow and ice! 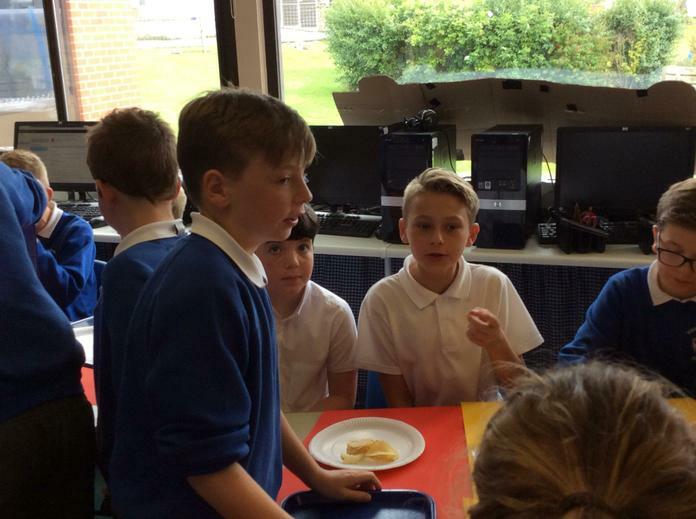 Play the games on the bbc website to practise your weather phrases, or join in with year 5 singing the weather song! Weather matching game Match the weather picture to the correct word. Listen to the Spanish.How fast can you play? In Year Two we have been learning how to ask and reply to the question have you got any pets. Play the colour games on the links below! This half term we will learn how to count to 12 and how to say how old we are. We have learned some classroom instructions in Spanish. Year 3 have learned to say how they are feeling in Spanish. ¡Buenas noches!- Good evening/Good night! ¿Cómo te llamas? -What is your name? We will be learning how to introduce and talk about our family in this half term. We learned a finger rhyme about the family. Have a look at 4D's web page to listen to them say the rhyme! Practise talking about your family. Play a matching game using family vocabulary. Around the World in Spanish! Do you know how many countries speak Spanish? 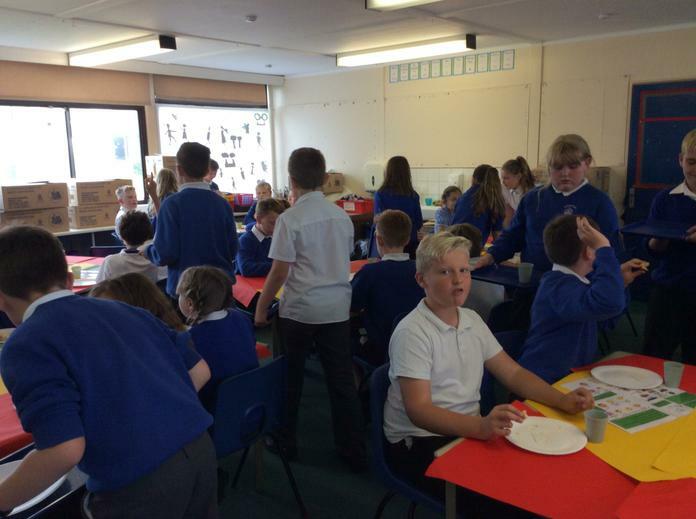 Year 4D and 4H have written their own versions of the Veo a un animal song based on animals they have been studying for their habitats topic.They used Spanish dictionaries to find some adjectives to describe the animals. Have a look, can you guess which animals they are? Look at our own versions of the Veo a un animal song! 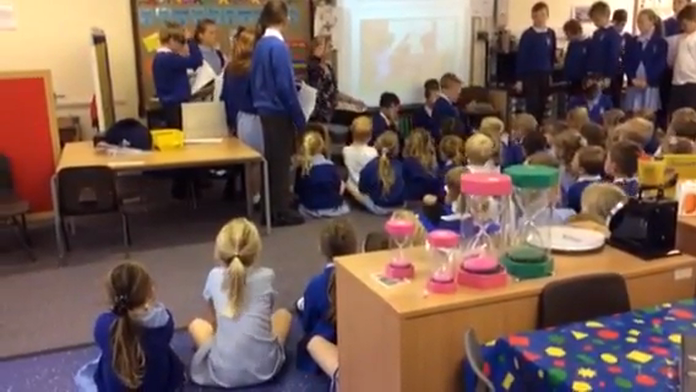 Year 4 have been working on a song about animals and where they live. First we listened to hear what animals and habitats were in the song. Then we made sentences to say where each animal lives. We have now started looking at the adjectives used to describe each animal. 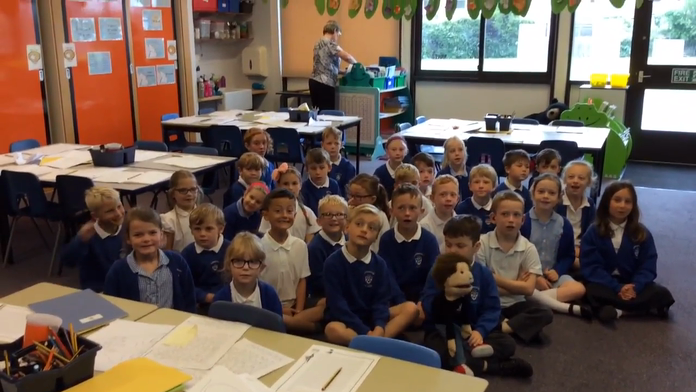 Listen to Year 4D singing the song Veo a un Animal on their web page! 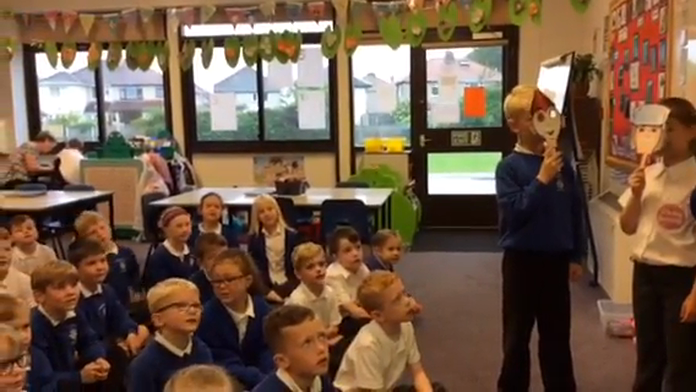 Animals and habitats In Year 4 we are learning this song.Can you work out what the questions are in the song?What animals and habitats are in the song? In Year 4 we can ask and reply to this question. Listen to our dialogue in Spanish on 4D’s page. Where do you live? Can you say where you live in Spanish? 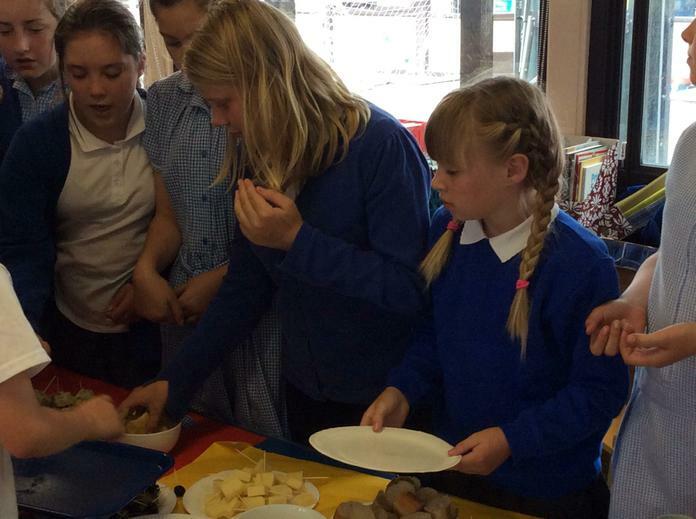 We will be looking at recipes this half term. See the top of the page for a photo of the Roscón we tasted. We will be revising our bigger numbers so we can talk about our history topic, The Aztecs.We will also be learning how to make some delicious hot chocolate in Spanish! ¡Ñam Ñam ! Practise your numbers to 100 in Spanish. Sing along with the song 1-50! Year 5 have worked really hard on expressing opinions in Spanish this term.Have a look at their super sentences about the seasons! 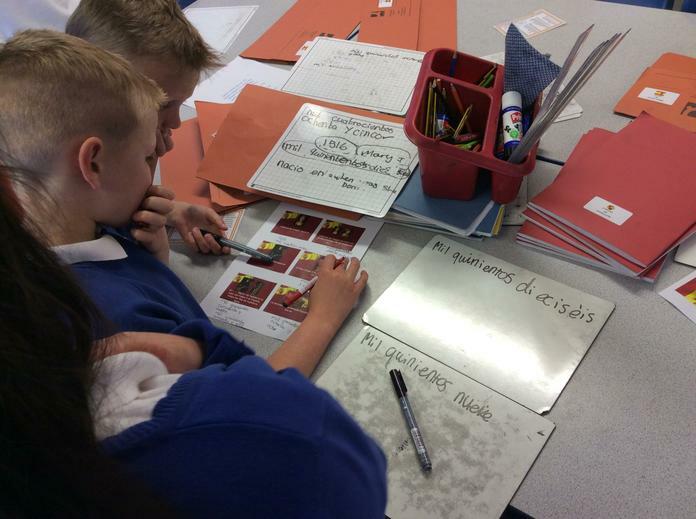 Read Our Super Spanish Sentences by Year 5! 4 Seasons song What weather phrases can you hear in this song? Can you hear the names of the four seasons? ¿Qué tiempo hace? - What's the weather like? In Year 5 we are learning how to say what the weather is like . We are also going to talk about the four seasons of the year. We will be making some sentences about which is our favourite season and why. We are learning to describe what we look like. Have a look at the picture dictionary below to answer the question. What do I look like? Describing yourself - vocabulary and grammar tips. 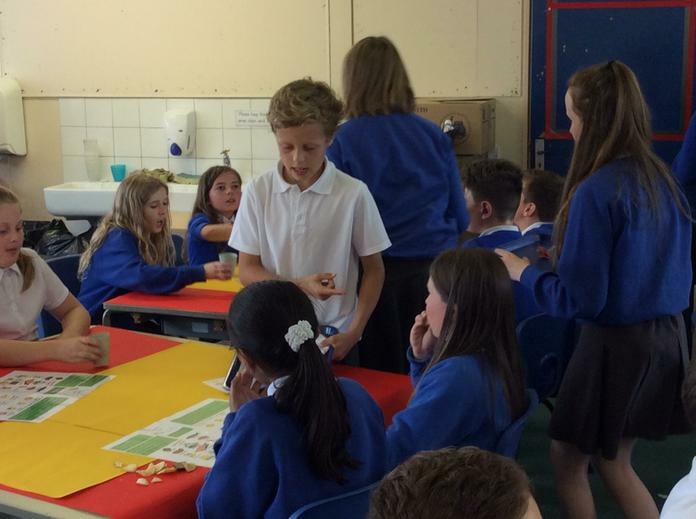 Watch the clips of our super descriptions in Spanish on the Year 6 web pages! We will be learning the parts of the body in Spanish. Have a look at the picture dictionary then see if you can play the games! Parts of The Body -A Picture Dictionary Parts of the Body from the Rockalingua Website. PLAY THESE GAMES -Parts Of The Body in Spanish Matching games for reading and writing.Time yourself! Descriptions song- video clip. Can you describe Mr. Blue? Descriptions song Can you read and follow the lyrics? We will be learned numbers to 31 and dates in Spanish. We researched important dates at Christmas in Spain. 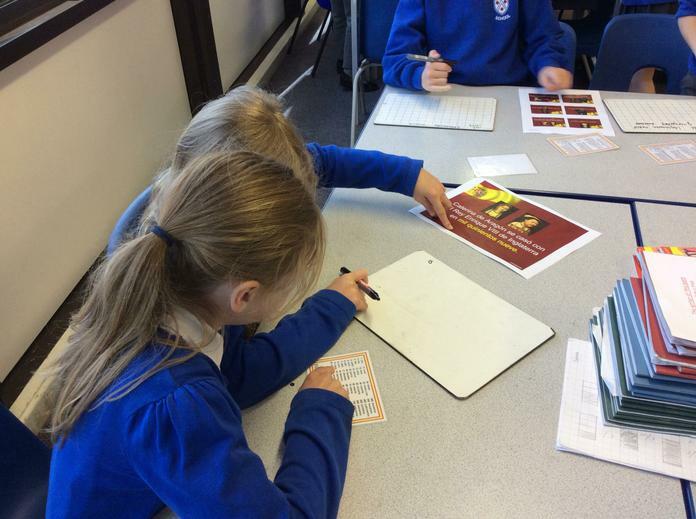 We read facts in Spanish and compared a Spanish Christmas to Christmas in the UK.See Euroclub Schools Christmas In Spain website at the top of this page. Numbers Can you count up to 31? 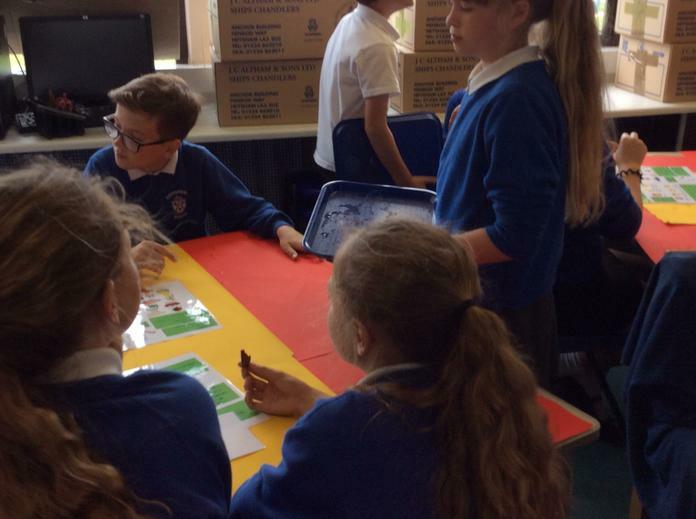 Year 6 are learning how to have a short conversation in Spanish.They are learning some new ways to greet people and ask how they are feeling. ¿Qué tal? 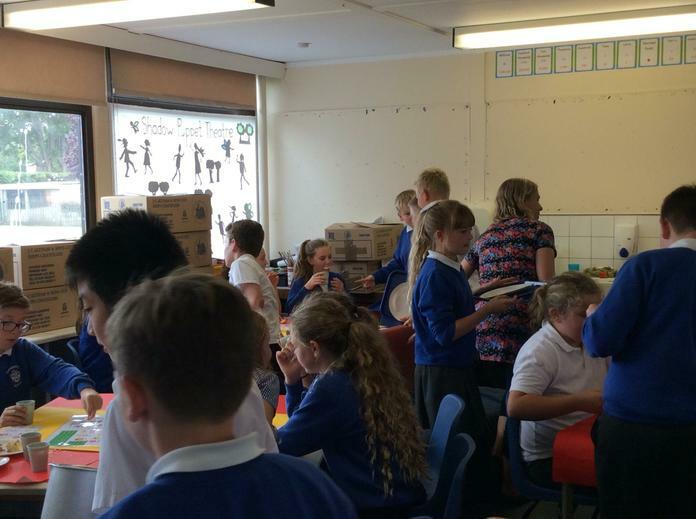 Have a look at all the links for Year 3. We will be talking about where we live and where we are from in Spanish. Can you answer all the questions in the song below? Greetings Song Year 6 can sing this song! Can you? A song about your name, age and where you live.